-Live in harmony with all! Embajador de la paz global! -El verdadero propósito: es el camino espiritual. -¡Vive en armonía con todos! Next Post NOVEMBER 7th, 2018: “Happy Diwali”, Festival of Lights!!! 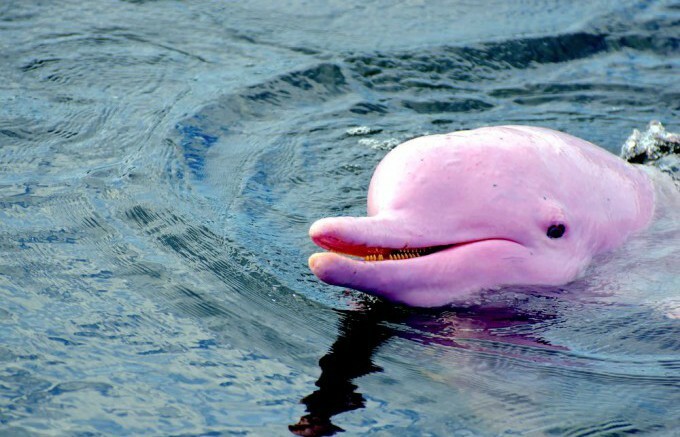 I never knew there were pink dolphins! Dolphins have always been my favorite animal. I have always said I am half dolphin too. Yep! They just love life too. They are always having so much fun. Don’t they? I have had the pleasure of swimming with wild dolphins 3 times, all in Hawai’i. The first time, we were swimming with a pod of about 100 spinner dolphins. It was a magical experience.